Ghee, which is also known as clarified butter is used in countless Indian dishes. It is in fact, a great alternative to cooking oil. Homemade ghee is fragrant and adds an incomparable richness to any dish. It has a nutty taste and is used in plenty of Middle Eastern recipes. 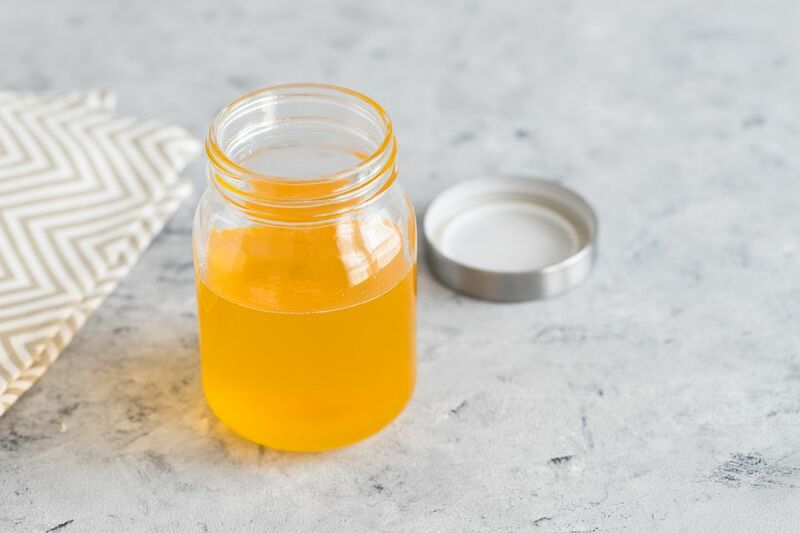 Learn how to make ghee using this recipe. Why do people use ghee? First, it doesn't burn as easily as butter. It can be purchased, but also made at home. Ghee becomes solidified at lower temperatures but can easily be melted when required. This recipe makes approximately three cups of ghee. Heat a deep, heavy-bottomed pan on a medium flame and put the butter and bay leaves in it. Simmer it and allow to melt and then cook. When a froth appears on the surface of the butter, spoon it off and dispose of it. Keep cooking till all the froth has risen and been removed. Allow the mixture to cool, remove the bay leaves, and strain or filter the ghee. It should be a pale golden color. Add a pinch of salt and mix it well. This gives the ghee a lovely grainy texture when solidified. Store unrefrigerated for 4 to 6 months or keep it refrigerated for even longer. Clarified butter, which is also known as drawn butter, looks more like oil than butter. It is commonly used in Holland, Australia and Scandinavia. It cooks at a higher point than other oils, so it won't break into free radicals that are known to be harmful. 135 calories; 15 grams of total fat; 9 grams of saturated fat; 45 milligrams of cholesterol. Boost the immune system, as it contains vitamins A and E, as well as carotenoids. Reduce inflammation, as it lowers leukotriene secretion and prostaglandin levels -- both are things tied to inflammation.